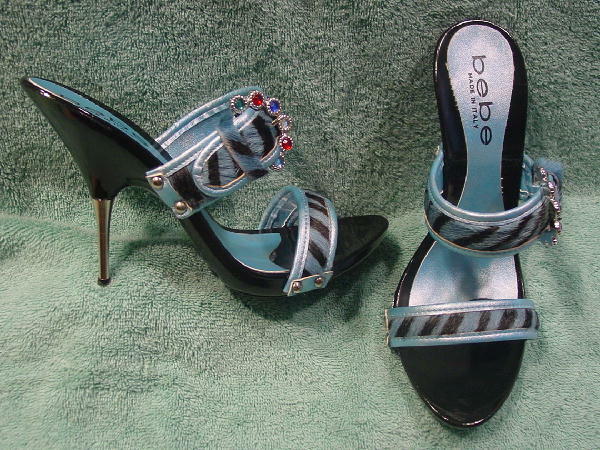 These pony hair slide high heel sandals are by bebe and were made in Italy. The two straps have blue and black pony hair stripes. The upper strap has six multicolored faux jewels on the buckle. The strap opens and there are three holes on the strap. The toe bed is a shiny black manmade hard surface, and the rest of the insole is in an iridescent light blue. The pony hair straps are edged in light blue faux leather. 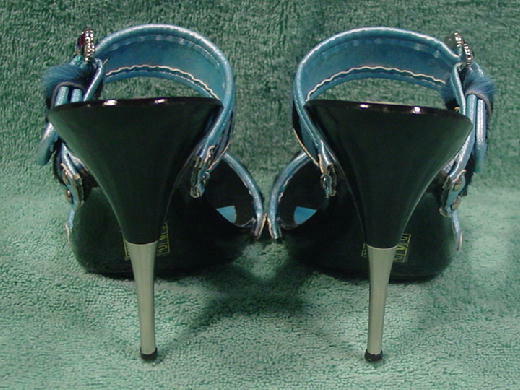 The back heel is partly black, and the silver-tone thin heel unscrews. 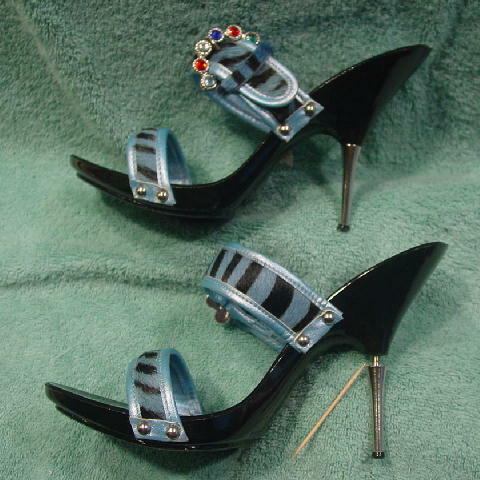 The straps are attached to the side of the shoes by silver-tone tacks. The shoes are marked 8 1/2, but they fit more like a size 8. The light areas on the shoes in the pictures are just light reflections. They were worn once to a club opening in South Beach and once to a Hollywood party.